What happens when a Mozart opera becomes game like and then turns into a game? 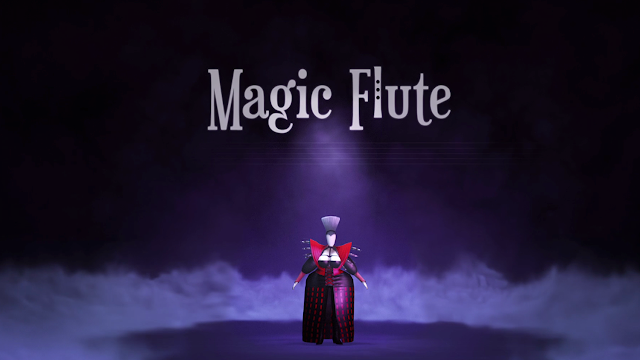 That is exactly what has happened with the Mozart opera and what the iOS Game Magic Flute has turned into. Released worldwide in September, the game actually comes form Japanese director Anon Miyamoto's vision "as an allegoric trip through the virtual landscapes of a video game." The game was selected as the “Best in Show” title by the folks from Gamezebo. Check out designer Olaf Morelewski's interview about the game at the Casual Connect - San Francisco. In parallel with the Japanese debut in July 2015 of the opera, a Japanese version was released including narrator voice over. As Olaf discusses, what makes this game unique is that the LabLike group is connected to YesEyeDo, the team that helped in the stage/set design for the opera, so they knew how to adapt it into game.